Carrying the film with a rare combination of wit, intelligence and emotional complexity, Andrew Von Urtz stars as a would-be filmmaker with the slippery soul of a con artist. By day, Andrew teases his coworker and gets continually reprimanded at his crappy desk job. By night, he chases younger women by offering roles in dubious film projects. Still stringing along his ex-girlfriend Joanna (Cindy Chastain), he is soon pulled into the sphere of a bizarre clan of siblings following an unwise one-night stand with the family's spoiled princess, Ava (Genevieve Hudson-Price). 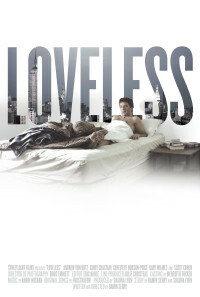 LOVELESS layers a growing sense of dread beneath the snappy repartee as Andrew falls victim to some absurd fixations on the part of his new "in-laws," even as he continues to mount schemes to play his wary friends for suckers. Comedy and pathos collide as Joanna's demands escalate, and Ava's family's cult-like obsessions leave Andrew doubting his sanity and safety. Regions are unavailable for this movie. 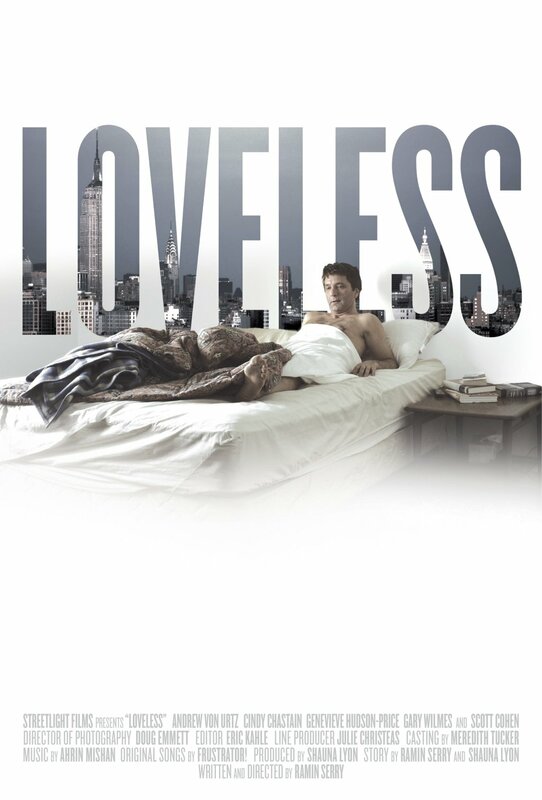 Click the "Watch on Netflix" button to find out if Loveless is playing in your country.